I have made a wonderful discovery. You can read Family Tree magazine on your PC, laptop, or mobile device through your local public library for free. It’s possible if your library subscribes to Zinio for Libraries. If you aren’t familiar with this company, it is an online digital magazine service. You subscribe just as you would any other magazine only this version is delivered in digital format. The magazine can then be read on any computer or through a mobile app. How do you find out if your library offers Zinio for Libraries? Go to your library’s website. Look for a link to free magazines. Then, check to see if Zinio is listed. 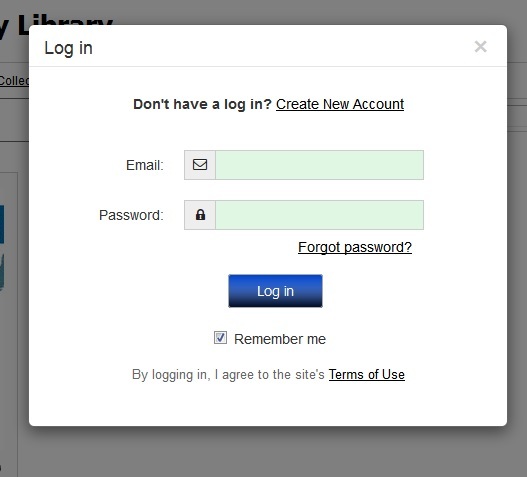 You’ll need to create an account on your library’s website and on Zinio in order to access free magazines. 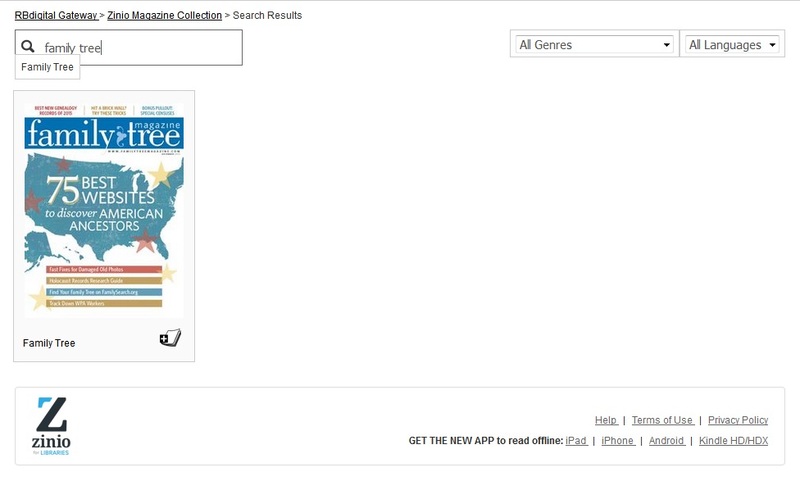 Then, select each magazine you’d like to read by clicking on the icon in the lower . Click on the icon in the lower right hand corner of the magazine graphic to “order” (for free) and read this magazine. Read them on your computer or use the Zinio app. You can also check a box on the order screen that will ensure that you get notified when new magazine issues become available. It is that easy! A side note: If you haven’t used the Zinio app recently, give it another try. I removed it from my tablet because it was too difficult to navigate, magazines took forever to download, and once downloaded they ate up a lot of storage space. I was pleasantly surprised to find it much improved. There is a nicer interface and flipping through pages is a snap. Now, that you know about these free magazines, see if your public library website has this free service. If you have an Android device, you can download the Zinio for Libraries app for free via the Google Play Store.